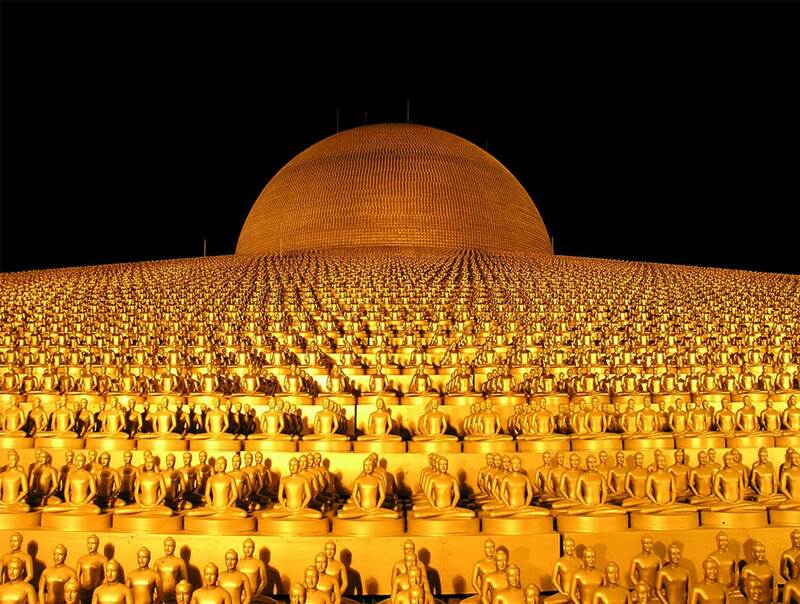 With a capacity of over 100,000 people, the Dhammakaya temple is one of the largest religious centres in Thailand. Located north of Bangkok on a 320-hectare piece of land, it is the reference location for Dhammakaya Buddhist followers. It was built in the 80s as a symbol of peace for mankind. For this extraordinary complex, Televes has designed and implemented a telecommunications infrastructure that includes distribution of television services over Internet protocol (IPTV), viewing points all over the premises, closed circuit TV, loudspeakers and admission control systems. Content distribution includes the centre’s own television channel. The deployment of equipment and systems in the complex buildings was carried out in collaboration by the company’s central services and the official Televes integrator in Thailand, Patararungroj. Due to the environment’s particular significance, the Dhammakaya temple’s project represented a real challenge for Televes capacity in terms of adapting the Hospitality solutions to the client’s requirements.